← Where am I going and what am I doing you ask??? Now I know that some of you know the answer to this right away (Darlene you will remain nameless)… however I am sure that I have stumped some of you…. This city is known as the Venice of the North due its many canals reminiscent of that “other Venice”. This city is one of the best-preserved Medieval cities in Europe and a UNESCSO World Heritage Site. It boasts intimate cobblestone streets and tons of public gardens. The Belfry Tower in Market Square features an octagonal tower and the lovely music of a carilllon. Now, if I don’t want to visit this particular city on a full day tour I also have the option of taking a 3/4 day tour of the city of Ghent, Belgium. 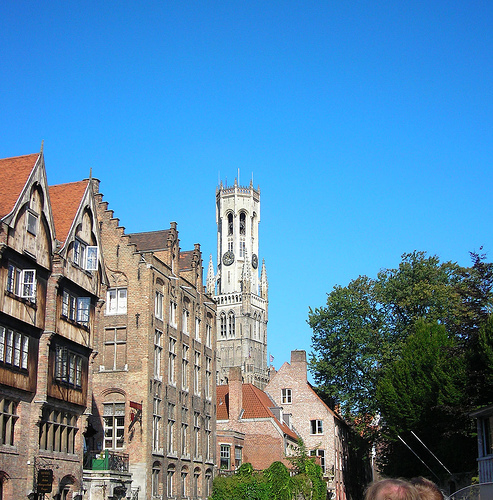 Ghent is one of the oldest cities in Belgium dating back to the Stone Age. So… any guesses as to the Venice of the North? Come on now… life is so much easier now that we can Google everything! Don’t forget to “follow” my blog.. I think that you can click on something that will send you an email anytime I update it… again, I know I should know these things but hey, I do have to work occasionally! This entry was posted in A little of this....., Europe. Bookmark the permalink.